Street Address 315 Four Seasons Dr. 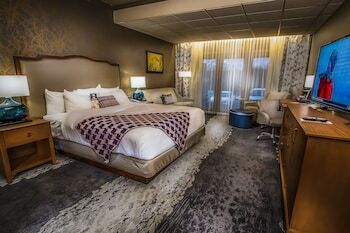 Located in Lake Ozark, Lodge Of Four Seasons Golf Resort, Marina & Spa is connected to the convention center, within a 15-minute drive of Bagnell Dam and Osage Beach Premium Outlets. Featured amenities include a business center, limo/town car service, and complimentary newspapers in the lobby. Planning an event in Lake Ozark? This resort has 65000 square feet (6039 square meters) of space consisting of a conference center and meeting rooms. Free valet parking is available onsite.